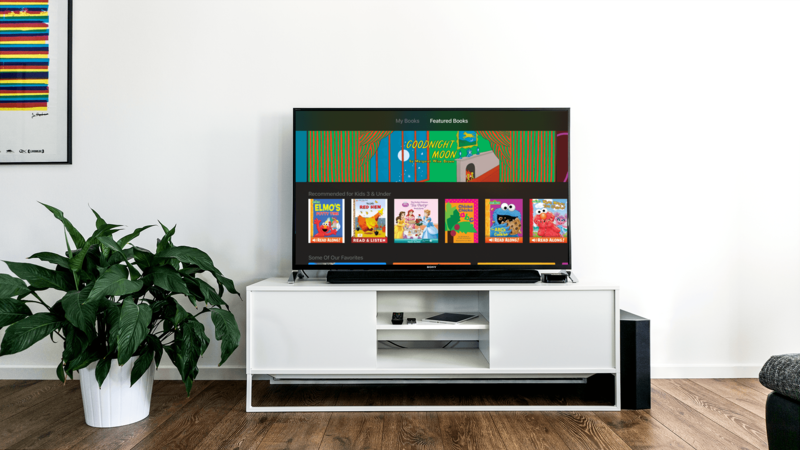 With Read-Aloud narration and beautiful illustrations, every handpicked title in the app transforms Apple TV into an engaging place for young readers to enjoy the stories they love. iBooks StoryTime comes with a free Dora the Explorer book. The app, which comes with a free Dora the Explorer book, is designed for young children. Additional books can be purchased from the Featured Books section of the app. The number of books available is modest, but high-quality with a nice mix of classic children’s books and familiar modern characters. 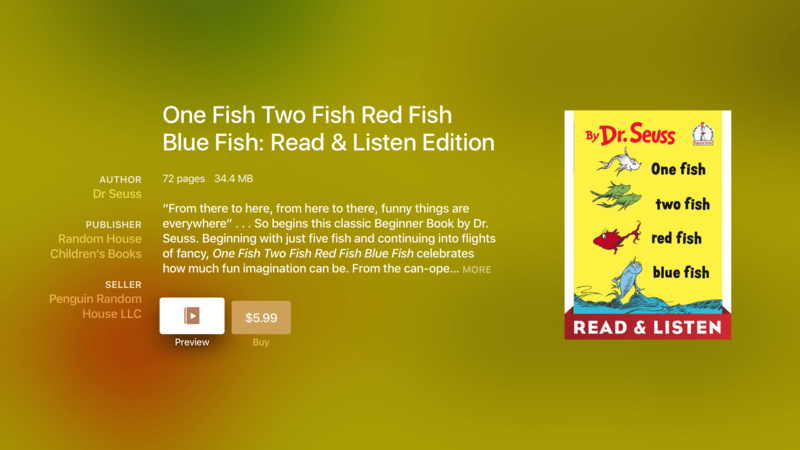 iBooks StoryTime offers several classics, including Dr. Seuss favorites. The read-aloud feature can be turned on or off. When the feature is on, the book is read by a narrator while the words in the book are highlighted in sync with the narrator’s voice. In read-aloud mode the pages are turned automatically. Pages can also be turned by swiping on the Siri Remote when the read-aloud feature is turned off. iBooks StoryTime (currently US-only) is a free download on the Apple TV App Store.